The space alone tells you Kadi Fit is something a little different. With its exposed brick, high ceilings, and modern-style lighting, it looks, plainly, nothing like a gym. It has, nonetheless, quickly become a community hub for wellness and exercise, with a totally innovative approach. 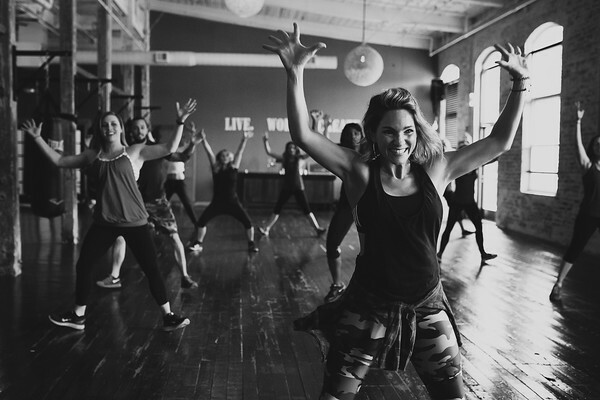 “Our tribe at Kadi Fit is beautifully diverse, but one thing they all share is a sense of adventure, and open-mindedness,” Katie says. Katie and Mike Dixon opened the doors to their self-started business in January of 2010, with a whole lot of dreams and subsequent elbow grease. They spent countless hours stripping the paint off the brick, laying wallpaper, constructing wood walls, building the dance bar, and wrapping twine around exercise balls to make massive light fixtures. 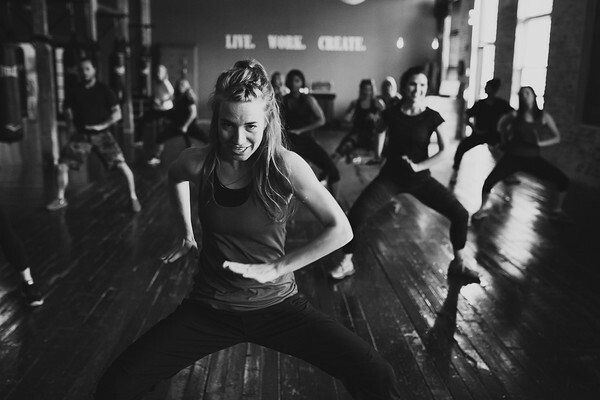 “The idea was to ignite visual inspiration, from the moment people walk in the door, and carrying on all the way through the workout environment,” Katie explains. It’s the rigorous attention to detail, reflected in the design of the space but present all throughout Kadi Fit, that makes it such a unique part of the Charlotte community. What was it like to open the business? People always ask if I was super nervous, leaving my career and salary to go out on my own. But, to tell you the truth, I was so stoked that failure didn’t cross my mind. I had blinders on. When I started, everything was simple: The space was small, and I only had one other instructor, so it was much less pressure. Now, there’s more fear and responsibility because it’s become a community of a few hundred people, so there’s far more to lose now. My husband, Mike supplies the yin to my yang there; I am the loud type of group coach, and he is incredible with one-on-one motivation. 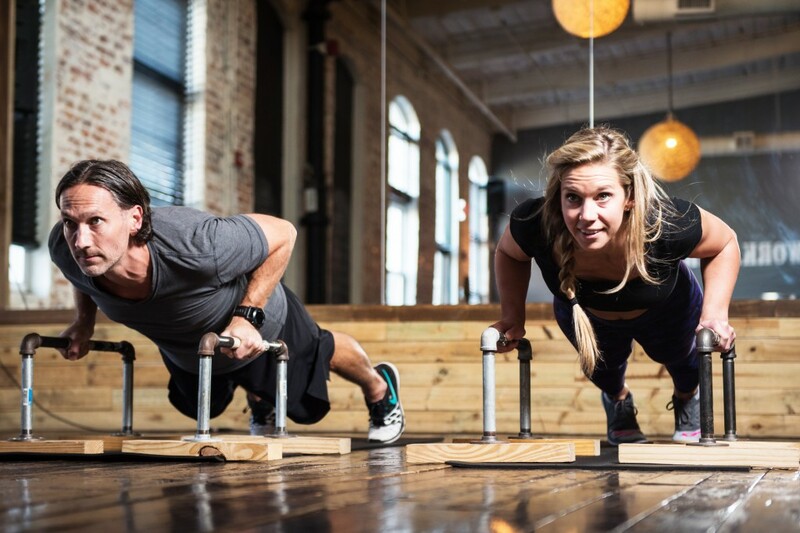 What, to you, really defines Kadi Fit? Connection and authenticity. What sets us apart is when you walk in our doors, you will have immediate connection; not only with the instructors, but with the members as well. You’ll be lead through an intentional, sustainable, innovative sweat, during which you’ll hear words that elevate you to your best self. That shift will continue with you as you walk out the door, and transform your life. Why did you design Kadi Fit as a “different type” of exercise? I wanted a brand that was visionary, with creative right to expression. I don’t want to be part of a franchise. There are many aspects of life that I’m super laid back, but on the flip side, there are things that I am incredibly opinionated about, from marketing and design to coaching style and energy. Why did you make a career out of movement? Any time I hear music, I move, inherently. Dance is my euphoria. The only thing I’ve ever wanted to do, every single day for the rest of my life, is dance. Once I began taking dance as a form of group exercise, I fell in love with the idea that I could share dance with anyone. No formal training, no concern with perfect technique – just falling in love with the pure joy, release of emotion, and experience of euphoria [that comes with dance]. Tell us a little about the class offerings – they all sound unique. 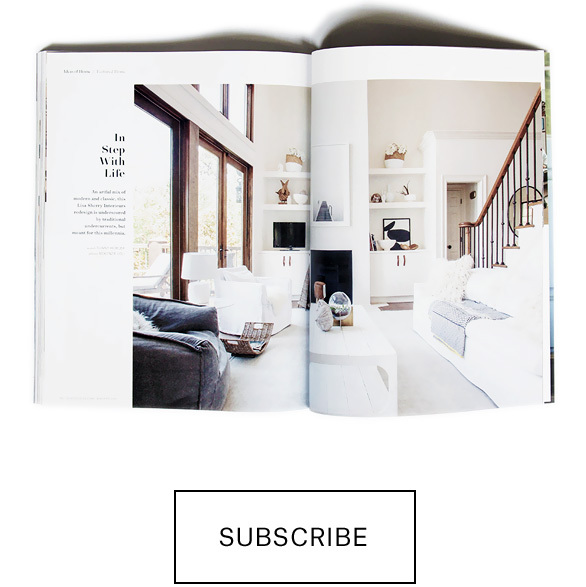 Every class, (other than yoga), has been curated in house, through the Kadi brand. Kardio Dance is an intense cardio hip hop experience. The energy, charisma, and total euphoria, sets it apart from any other. Primal is one where we knew we wanted to design a workout based on the way our bodies are intended to move. Mike is the “Primal Guru.” He wasn’t an uber fit, healthy guy until he had a major health scare 6 years ago. 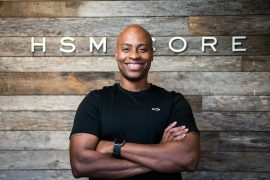 Instead of going the medicinal route, he chose to cure his own body and because of his constant research, trying out different moves, philosophies and experimenting through his own workouts, Primal has developed into a solid, successful fitness format, and mindset. Boga is a mat workout that combines strength and flexibility to maximize rhythmic cadence and spirituality. Okay – now for the fun stuff. What do we need to know about health/fitness? -Consistency is everything. No one FEELS like working out, or eating well every day. It’s those with the drive and discipline to do it anyway, that are successful. -I sweat like a man, especially when I am trying new workouts. If you see me in a class somewhere, you’ll probably wonder if I jumped in a pool. -Mike loves to perform as much as I do. We have lip sync and karaoke events at the studio, and he absolutely steals the stage. -My favorite healthy snack is a Pink Lady Apple and Justin’s Almond Butter. -I believe my sole purpose is inspiring community. Gathering with the people I love, doing things that light them up, fills me up. -One of my top health tips is: Fuel with clean, real foods but don’t overeat, even if it’s healthy stuff.